The most perfect little dish when you’ve got mad pizza cravings but aren’t ready to commit to a whole pie! 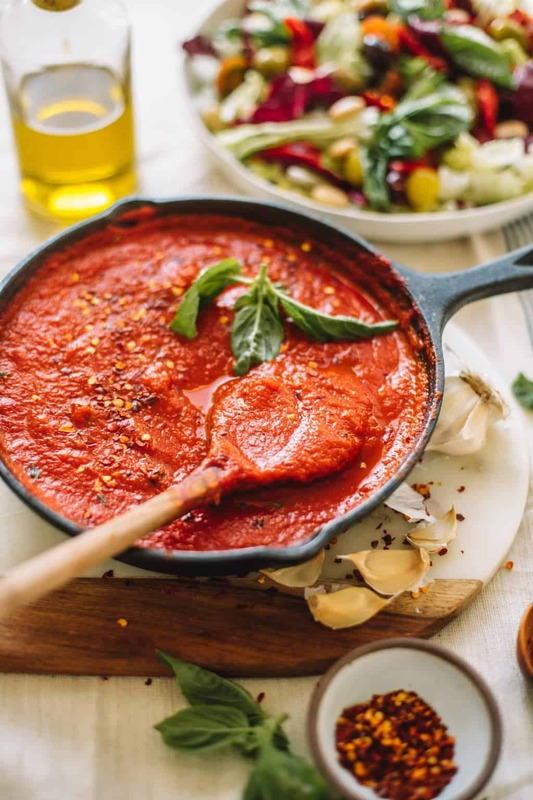 This roasted red pepper pizza dip packs huge flavor and leaves you feeling like you had a pizza night. 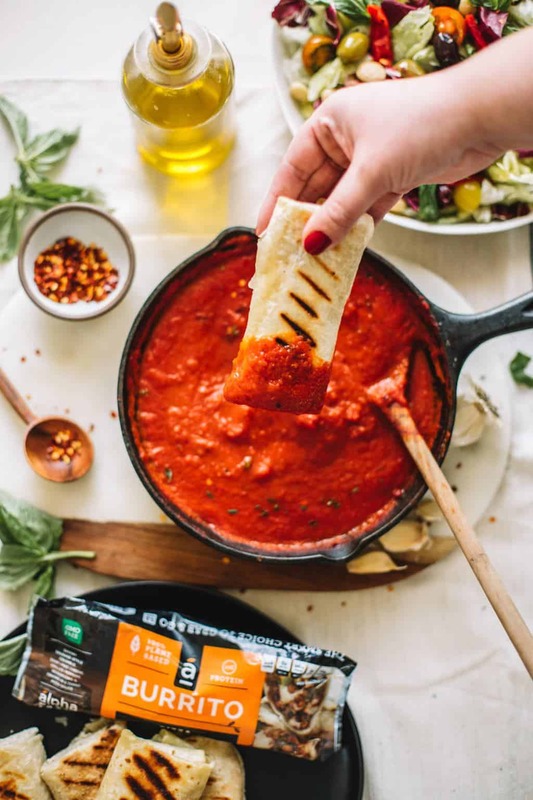 I love to pair this warm plant based roasted red pepper pizza dip up with a loaded Italian salad and quick and easy Alpha Plant Based Pizza Burritos. A big thank you to Alpha Foods for sponsoring this post and keeping The College Housewife up and running! Pizza night on a Monday?! Yes girl, you heard me right! Ever since we got back from Chicago for the International Housewares Show for The Inspired Home I have had the pizza bug, bad! We had pizza almost every evening that we were there. It was not the healthiest trip but it certainly was delicious. I’m not a huge hot dog or popcorn person but I can totally get down with the deep dish deliciousness in Chicago! Fortunately, when we arrived back home in California spring was ‘springing’ and the signs of warm months ahead were officially full steam (YAY!). This means two things! Lighter and fresher plant-based weeknight flavors (I don’t know if I’ll ever be able to kick my weekly enchilada habit though, fair warning!) and finally getting the backyard into shape again! I did a few Insta polls this week about different backyard projects I wanted to tackle and you guys really came through for me with some amazing ideas! You all were fans of doing some sort of backyard bar area or a plant potting stand. I have to say I am equally fans of both but I may be a little partial to the bar area just because I love serving up fresh margaritas during all of our backyard parties. Stay tuned over the next few weeks to see what we end up doing with the area I am trying to makeover. The second part of the backyard refresh means getting fresh herbs growing again! I love this time of year because I usually start to feel more inspired in the kitchen for spring and summer recipes! I generally try to eat a little cleaner leading up to the summer months so I can feel like my best self. Clean eating for me can sometimes mean cookies in the bathtub (can anyone else relate?! ), but generally speaking this just means eating more whole and seasonal flavors. 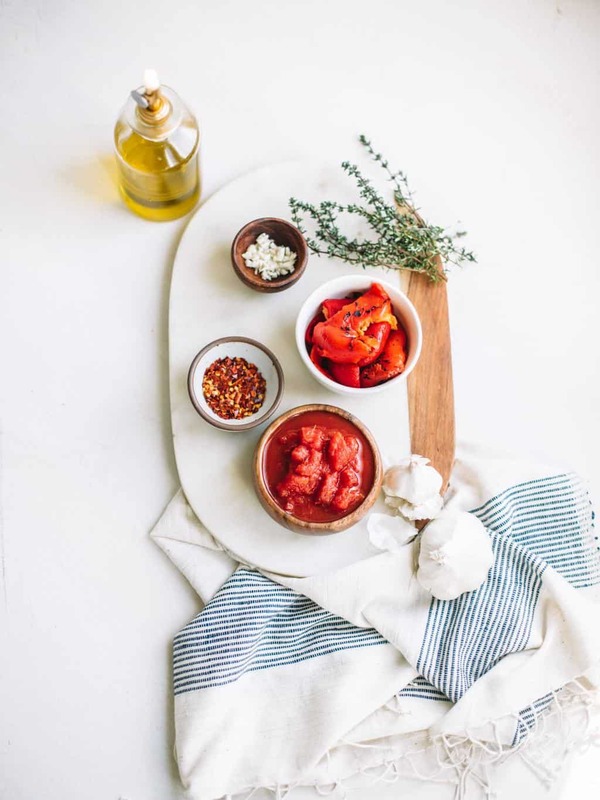 I love taking a simple recipe like today’s roasted red pepper pizza dip and using it as a base for lots of different dishes! This roasted red pepper pizza dip is perfect for so many things. It works great as an easy warm dip for appetizers like flatbreads or garlic bread. You could even serve it up over some pasta or use it as a pizza sauce! I like making a batch on Monday’s and whipping it out for an easy weeknight dinner. 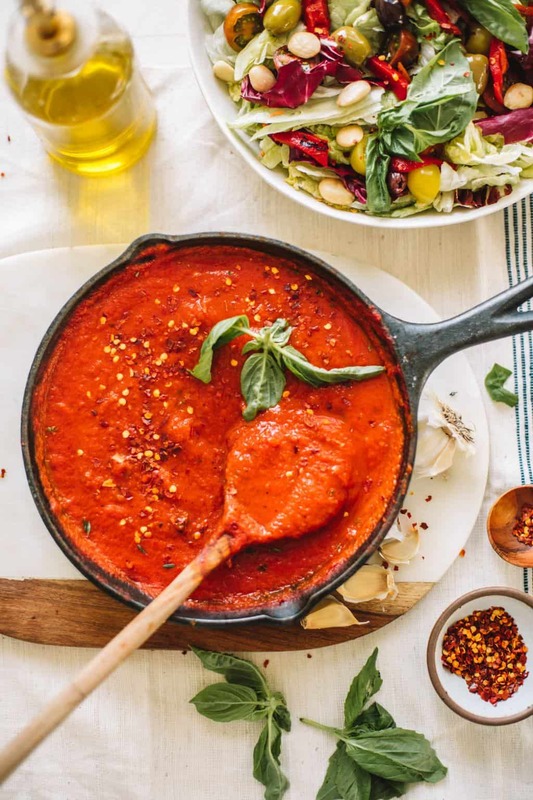 I’ll make this roasted red pepper pizza dip, a large Italian green salad and grill up some Alpha plant-based pizza burritos for dipping! 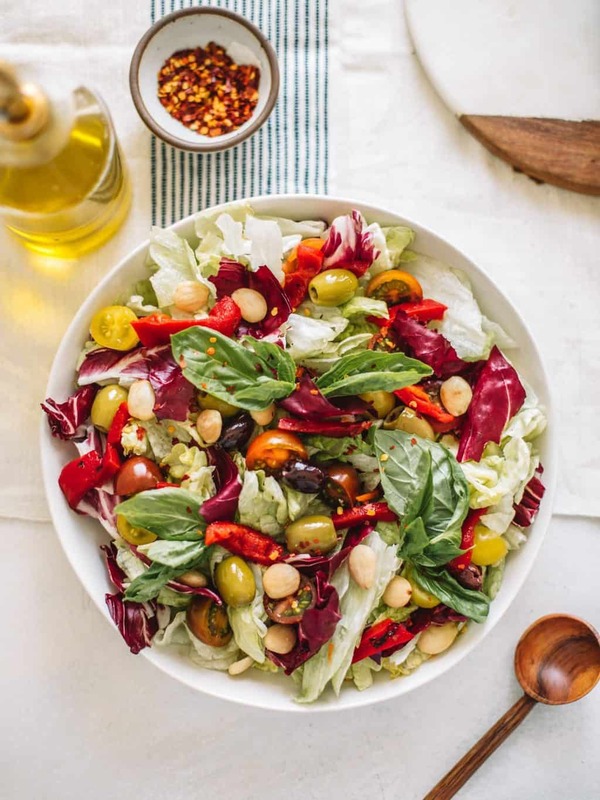 Easy, healthy and delicious! We keep these easy plant-based burritos on hand in our freezer for nights that we don’t want to go out for takeout but still want something nutritious and easy! You can find yours with this handy dandy store locator! In a small cast iron pan heat olive oil on medium heat. Add in diced onion and cook for 6-8 minutes or until tender and translucent. Add in minced garlic and cook for 1-2 minutes or until fragrant. Transfer onion/garlic mixture to a blender, food processor of vitamix. Add in the remaining ingredients and blend for 20-30 seconds or until mixture is smooth and no longer chunky. Return red pepper mixture to cast iron skillet and heat on medium heat until simmering. Top mixture off with red pepper flakes if you prefer a spicer sauce. Serve up with pasta, garlic bread, flatbread, and Alpha Pizza Burritos!